A MURDER IS ANNOUNCED WILL TOUR THE UK/IRELAND AGAIN IN 2019/20. FULL DATES AND STAR CAST TO BE ANNOUNCED. 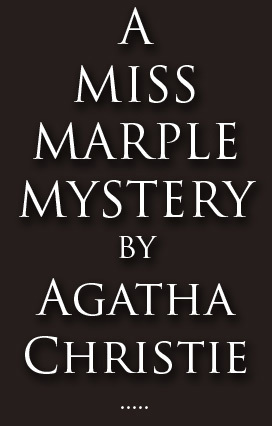 The 2017 tour starred LOUISE JAMESON as MISS MARPLE and JANET DIBLEY as LETITIA BLACKLOCK, with TOM BUTCHER, SARAH THOMAS, DEAN SMITH, LUCY EVANS, CARA CHASE, ALICIA AMBROSE-BAYLY, LYDIA PIECHOWIAK, JOG MAHER, WILL HUNTINGTON and MATTHEW WELLMAN. The residents of Chipping Cleghorn are astonished to read an advert in the local newspaper that a murder will take place this coming Friday at Little Paddocks, the home of Letitia Blacklock. Louise Jameson is known to millions for her long-standing roles on British television, including Rosa di Marco in Eastenders, Susan Young in Bergerac and of course Leela opposite Tom Baker in Doctor Who (not to mention regular roles in Doc Martin and Tenko). Janet Dibley is best known for playing Elaine opposite Nicholas Lyndhurst in the much-loved sit-com The Two Of Us, as well as Lorna Cartwright in Eastenders and Dr. Elaine Cassidy in Doctors. They are joined by Tom Butcher (PC Steve Loxton in The Bill and Dr Marc Elliott in Doctors), Sarah Thomas, who played Glenda Wilkinson in Last Of The Summer Wine for 24 years, Dean Smith (Waterloo Road / Last Tango In Halifax) and Lucy Evans (Coronation Street) plus a full supporting cast. A MURDER IS ANNOUNCED WILL TOUR AGAIN IN SUMMER/AUTUMN 2019.